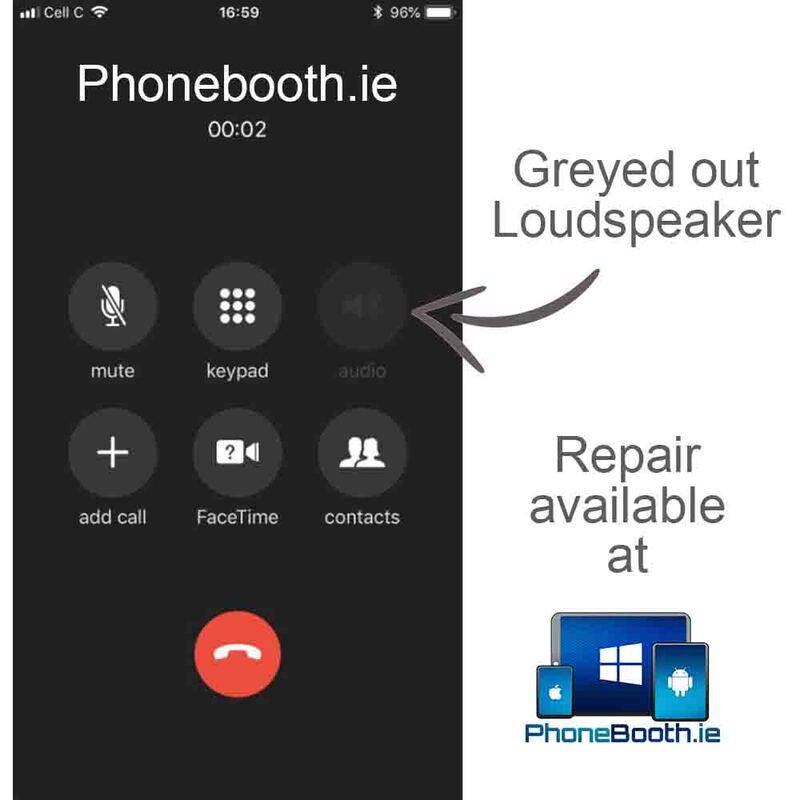 So you’ve a lovely iPhone 7 or 7 Plus and all of a sudden you can’t hear anyone on the other end of the line, or your loudspeaker option is greyed out. If so, then you probably have an issue with your audio IC. Read on. Without getting too technical about it, the Audio IC (Integrated Chip) is a chip on the motherboard that controls the audio functions on your iPhone. Over time the lines under the chip that carry the information can fracture. This may be due to a series of small knocks or getting bent and flexed in your jeans pocket. The chip has a series of tiny connections that hook up with the surface of the motherboard (your phones engine) via a series of tiny little metal dots. Each of these dots are the start or end of a tiny wire (data line) that’s on or under the surface of your motherboard. Over time these little data lines can crack and eventually fail. So, to start out with you might have intermittent sound and you could put that down to bad signal, where in reality you have perfectly good signal and an issue with your Audio IC. You’re probably one of these people that never turns off your phone either, but if you do, it can take longer than normal for it to boot up and eventually it’ll get stuck on the Apple logo and just keep rebooting from there. This is when you know you’ve got a problem. In fact, you’re not alone, we see a few of these in every week and it has turned into an epidemic with the iPhone 7. Not to worry though, Ric, our level 3 trained technician, can repair this problem and has done many times over. He is trained to carefully lift your Audio IC from the board, rebuild the damaged lines, reseat your Audio IC and have it stronger than when it left the factory. This is a fault that Apple don’t fix and their solution is to sell you a new iPhone! If this is you, then get your phone into us straight away. We have two locations (Tuam Co. Galway & Loughrea, Co. Galway). But if that’s too far, don’t worry we also accept mail-in repairs. To book in your repair, fill in the contact details and we’ll get back to you ASAP. We would tell you to give us a call, but we don’t want to rub your nose in it!